1 day coaching workshop on the sunny isle of Portland. Introducing you to essential techniques and tactics needed to improve your climbing. Our Portland workshop is for those just starting out in the climbing world up to those trying to redpoint 7a. With a coaching team proficient at coaching all levels of climbers this workshop is a must for anyone looking to improve their climbing. The single day workshop involves teaching how to warm up and prepare for the day ahead, essential movement techniques, route reading and tactics to help you improve your climbing, including onsight and redpoint skills. Sports Climbing Ethics and Safety are also covered throughout the day. The workshops are run at a 4:1 ratio, this includes ropes, quickdraws and helmets. 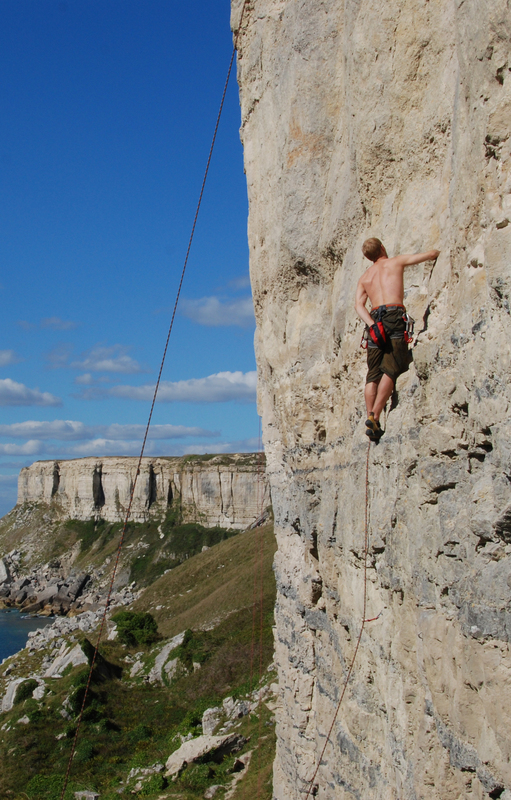 You will need to bring your own harnesses, climbing shoes and chalk. Each day will begin with a team briefing usually in the car park then proceeding to the climbing area. The day typically runs from 10am to 5pm, with an hour break for lunch. For Juniors (under 18) please contact us for more information. Portland is easily accessible from London and the South East by the M3, then M27 in around 2.5 hours. Is a performance climbing coach working across London and the South East, he’s coached climbers up to International Level and up to 8b on rock. With over 12 years experience of rock climbing and a very proficient sports climber he has a strong academic background in Sports Science, and excels in perfecting climbing movement and improvement through technique. 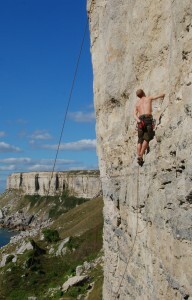 Is an MCA qualified coach and one of the most respected coaches in the South East and accomplished sports climber. Coaching the Surrey Summit Competition squad he has trained and coached some of the most talented youth climbers in the country as well as coaching many private clients and running outdoor coaching workshops.